The Club sofa is true to its name; neat and compact, its simplistic design has been the key to its longevity. Featuring a strong, bold silhouette, squared t-back cushion design and broad club arms, the Club sofa is simply divine. Combining modern good looks with practical functionality, it is the essential sofa for everyday living. The Club is designed in Australia, ensuring that the best aspects of Moran’s unique, luxury style are applied to new designs, staying relevant to local design influences and the modern Australian way of living. Bespoke manufacturing ensures each Moran piece made can achieve a luxurious level of comfort and attention to detailing, that often falls short with widely adopted mass production methods. The Club sofa features a kiln-dried, close-grain hardwood timber frame, providing the underlying quality framework needed for lasting structural integrity. Tempered Steel Sprung Structural Support ensures body correct support and the ultimate experience in long-lasting relaxation, while Spring Cell Seat Cushion Inserts add extra comfort and extend cushion performance, offering an additional layer of individualised support. We utilise the highest-grade foams, padding, and fillers to allow for each model to achieve optimal aesthetics and structured good looks, bringing lasting luxury and visual enjoyment, for pieces that look as good as they feel. Premium leather and fabric upholstery grade coverings are carefully selected for their fashionability and longevity, to suit modern Australian living and to offer best-selling looks and flexibility to work with popular interior trends. Our 10 year structural warranty, backed by our Melbourne-based Customer Service and After Sales Department ensures you have quick access to support, service, and advice. Rest assured knowing your Moran warranty is guaranteed in writing. You sit in it, we stand by it. Handcrafting the finest examples of bespoke upholstered furniture since 1950. 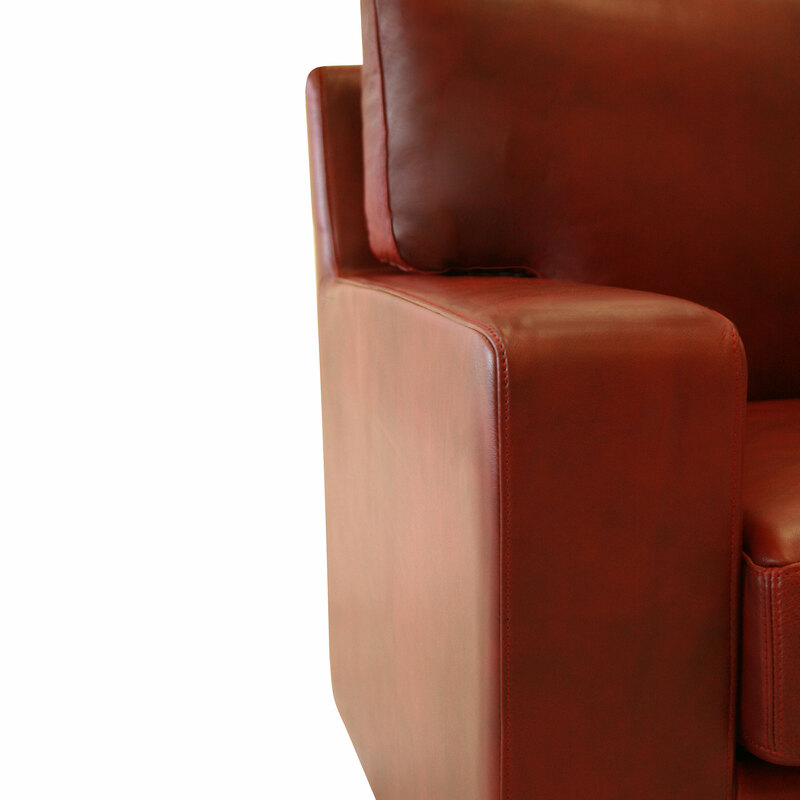 Moran Furniture is design in Australia for Australians and is an investment in uncompromised luxury and comfort. A Moran is a statement in style that commands attention. The Westwood is classic elegance and beauty in its finest form. A true Moran icon, the Westwood sofa is a timeless piece of furniture that will always be in style. Available as either a fully upholstered sofa or with a versatile loose cover, both options are enhanced with a full skirted valance. The Westwood design lends itself beautifully to both plain and patterned fabrics, providing endless decorating opportunities. Featuring self-piping detail, large rolled arms and a luxurious scatter cushion back, the Westwood is simply stunning. The Hampshire is a fine example of classic chesterfield styling. With all the standard features you'd expect from a traditional chesterfield, the Hampshire sofa embodies this perfectly. Featuring exquisite diamond buttoned upholstery on the back and sides, meticulous hand studding detail along the front of the armrests and further diamond button detailing accentuating the front plinth, the Hampshire is a work of art. The Chester is a stunning traditional style of chesterfield showcasing the utmost exquisite example of this artisan upholstery technique. Moran Furniture has long been renowned for creating the greatest in chesterfield style sofas in Australia; and our Chester sofa is no exception. The Chester is formal and prestigious. It showcases the finest hand studding detail along the front of the armrests with beautifully gathered leather ruching and hand pulled diamond buttoning. The chesterfield is gorgeous in many leathers but for the appeal of an aged-look, look no further than the antique leather range as the hand rubbed finish will highlight the gorgeous upholstery detailing, creating depth and embracing a true heritage look. The Brando is one of Moran Furniture's most iconic sofa designs. The Brando's classic beauty and practical functionality have ensured it's stayed a long standing favourite within Moran's core range. The Brando has a masculine look which is reminiscent of the gorgeous cigar club lounges of the 1930's. Exquisite tailoring and thick block legs complete this classically beautiful sofa; which is sure to remain a popular staple in the Moran Furniture family for generations to come. The Mika sofa is also known as the quiet achiever. Bringing to life so many of our favourite design features, the Mika can easily slot straight into almost any Australian home. Modern, contemporary styling with a twist, the Mika fulfils a multitude of duties. Featuring rectangular seat and back cushions, unique slanted armrests with complementing arm-side bolster cushions and on trend block legs, the Mika sofa is versatile enough to integrate with most decors. Sumptuous and accommodating, the Triple Crown is a classic recliner of grand proportions. Consisting of a waterfall style back and an ample headrest which flows down into two smaller padded zones, all lovingly surrounded by generously full side cushioning and arm padding. Seat cushioning rolls over the face to the footrest creating a seamless footrest extension for uninterrupted total head-to-toe body support at any incline. Relax into pure luxury; the Triple Crown guarantees the long lasting comfort of a traditional recliner and looks equally as smart upholstered in fabric as it does in leather. This recliner is sure to impress.This design is available with many operation options. Please ensure to always select your preferences at the time of placing your bespoke order to enhance your ultimate enjoyment. 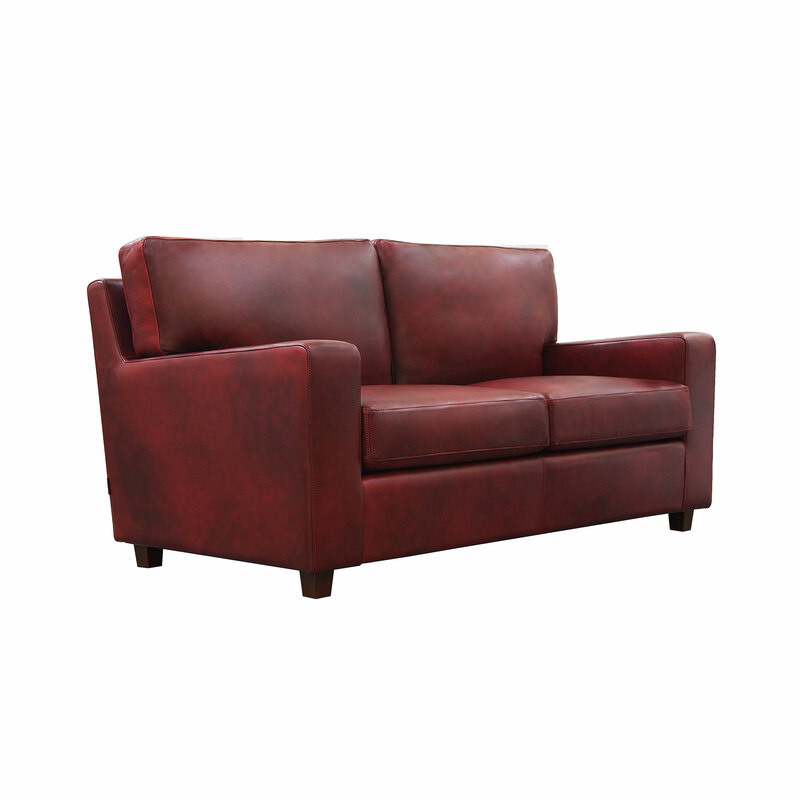 A beautiful classic design with a twist, the Dorchester is a unique take on a traditional rolled arm sofa. 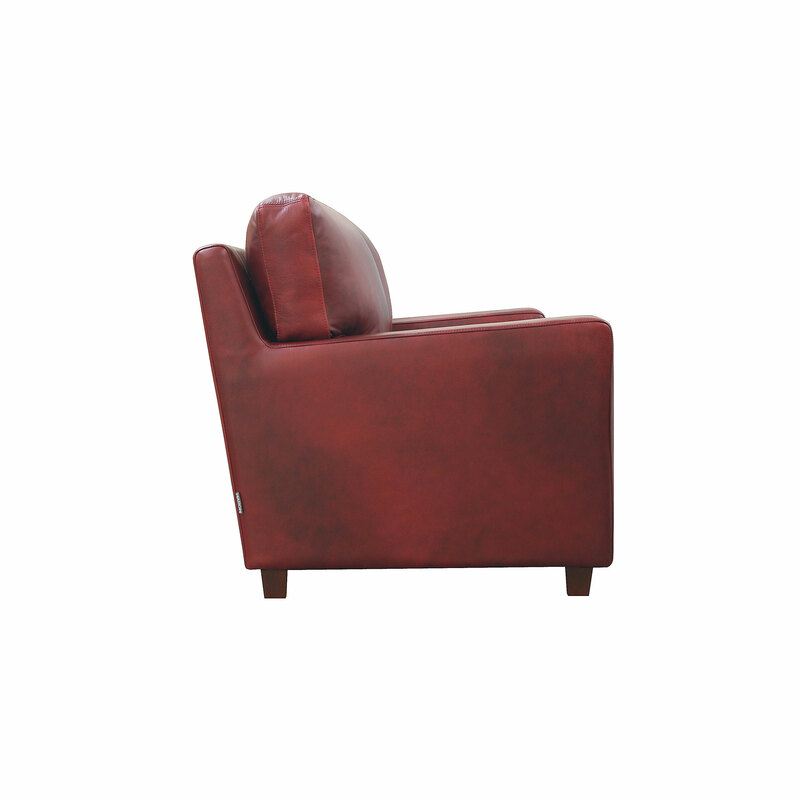 Features a gentle domed back, quirky curved armrests and intricate hand studding detail. A sophisticated design, the Claire sofa is understated elegance. It's all the finer little details which make the Claire such a classic beauty. Soft pleating on delicate tapered arms, a gorgeous curved silhouette and turned timber feet with ornate brass castors, make the Claire sofa a stunning feature to your living room. The Renoir is a sophisticated modern sofa with classic elegance. It’s clean lines and expert tailoring give a stylish modern edge to an otherwise formal design. Featuring angled high arms that form a continuous line around to the back rest and an elegant long seat cushion create seemless attractive sofa views. The slender timber framework with modern tapered legs brings an added visual lightness to the picturesque look of this model. This modern classic makes a great suite choice as a centrepiece for defining a space in your home. While the timeless tone of this sofa and back cushion options of standard back or scatter back cushions ensures that it can be styled to suit a range of different schemes. Moran Furniture has long been renowned for creating the greatest in chesterfield style sofas in Australia; and the Merry Widow sofa follows this time honoured tradition. This timeless style remains ever popular for its inspired balance of detail with simplicity. The artisan craftsmanship on the Merry Widow is second to none. Studding, tufted diamond buttoning and arm pleating is all executed by hand with stunning precision. Make no mistake, the Merry Widow is incredibly adaptable. While the original style is deeply embedded in history and naturally suited to the classic, formal interior, the beauty of this design in combination with the right choice of Moran exquisite leathers, will transform the Merry Widow to perfectly suit contemporary industrial, chic and eclectic interior styles with ease. The superb finesse and quality in execution of this style will be noticed and is sure to bring lasting enjoyment to your beautifully finished interior. The Maison is classic elegance and casual comfort in its finest form. A timeless style for the Hampton's home, modern country villa or seaside retreat. The Maison sofa will always be in style. Available as a loose cover sofa enhanced with skirt that skims the floor. The Maison design lends itself beautifully to both plain and patterned fabrics, providing endless decorating opportunities. Featuring neat self-piping detail all around its luxurious silhouette, curvaceous arms and feather wrap to cushions to enhance the relaxed style , the Maison is simply stunning. The epitome of retro chic is right here in the stunning Elwood sofa. This striking sofa is right on trend with smooth, clean lines, squared back and seat cushions and stylish slim arms. The Elwood takes inspiration from 1960's designs and features beautiful blind buttoning detailing across the back and seat; giving the Elwood sofa a distinctive retro look. The Elwood looks magnificent upholstered in our beautiful Dunbar Black leather, giving it a modern edge. The Opus sofa is a true style icon that will always be on trend. The Opus' practical design ensures the ultimate combination of both comfort and retro good looks. Featuring a slim silhouette, stiletto like timber legs and beautiful button pulled upholstery on the seat and back cushions, the Opus is the essence of vintage chic. The York sofa is elegant, neat and compact. Its simplistic design has been the key to its longevity. Featuring a strong square silhouette, t-back cushion design and broad club arms from the front, from the side this sofa expresses fine arm curvature giving it a masterful, yet subtle elegance. Combining modern good looks with both superior form and functionality, it is the essential sofa for everyday living.Upholstered in a rich, luxury leather from Moran's exclusive leather collection will bring to life the understated elegance of this sofa's clean lines and inviting proportions.